It feels like we’re leaving the world of set-top boxes as we know them behind. For one, few people own a TV big enough that you could actually put a box on top of it—that’s been true for a long time. The box itself has also dwindled down to a dongle, a handy little thing that disappears behind the screen. These HDMI sticks have been a bit weak in the past, serving as a convenient but compromised alternative to a larger piece of hardware. The Roku Streaming Stick+, with its ability to handle 4K and HDR, changes all that. Roku released its most recent stick-sized streaming device over a year ago, but it’s been dabbling in the dongle zone for years. The new $70 Roku Streaming Stick+ (emphasis on the “+” part) expands the old technology’s capabilities with support for 4K and HDR content. There’s also better wireless performance thanks to 802.11ac dual-band wireless support, as well as a speedier quad-core processor. Spec-wise, that makes the new high-end Roku Stick just as powerful as the $100 Roku Ultra, which also got some upgrades in the latest round of the company’s products. The Roku Streaming Stick+ is the size of my index finger. On one end is an HDMI plug that goes directly into a TV, and the only other output is a Mini USB port that provides power and some extra wireless signal. That means that there’s another cable with a Roku Stick-sized antenna that either plugs into a USB port on the TV or into a power adaptor on the wall. It’s honestly less complicated than it sounds, and I commend Roku on the clever engineering that ensures that its little Stick could handle the wi-fi connection needed to process the highest quality video streams. Really all you need to know about the hardware is that it disappears behind your TV as soon as you install it. When you first fire it up, the Roku Streaming Stick+ connects with the remote and guides you through a very simple process of pairing the Roku remote to your TV. This is a new feature. Now, instead of juggling two remotes, the Roku remote lets you control your TV power and volume as well as the Roku experience itself. This is a small detail that makes a big difference. Been spendin’ most our lives, living in a dongle paradise. What the new Roku Streaming Stick+ doesn’t do is offer any more ports. There are literally none. With this product, the company simply assumes that many customers don’t want a hardwired internet port and don’t care about external storage in the form of an SD card slot. So the new Stick doesn’t have those. It only has a port for power. If you want more ports, you can upgrade to the Roku Ultra, which offers ethernet and SD card options as well as an extra USB port for whatever. Remember, the Ultra has the same quad-core processor and wi-fi capabilities of the new Streaming Stick+. The new remote, that lets you turn on your TV and adjust the volume, might be the best new Roku feature. One other thing I’d point out is the power and speed of the new Roku Stick. It’s not amazing, despite the quad-core processor. The device takes a solid 20- to 30 seconds to power on, and you’ll notice some lag time when you’re loading movies or shows. It’s not nearly as bad as the underpowered Roku hardware I’ve used in the past, but I wouldn’t call it snappy. Nor does it necessarily need to be. Roku will now sell you a streaming stick with almost all the same exciting capabilities of the most capable set-top boxes in a much smaller package for a lower price. It’s no Apple TV, but in many ways, it’s better thanks to Roku’s more democratic method for dealing with content options. The extra power dongle is not large, but it is larger than a regular USB cable. I realize that I haven’t spent much time talking about the user experience on the latest Roku devices. If you’ve ever used a Roku before, it will feel familiar. If you’re more accustomed to an Apple TV or an Amazon Fire TV, the Roku experience will feel a little bit ugly and dumb. Like generations before it, the latest Roku software lets you install nearly any TV app that exists. You can also navigate by searching for a specific movie or TV show, or look for an actor or director you like. Roku will return results available on multiple apps and let you choose the cheapest option to watch what you want to watch. None of this is new, but it’s also a big reason why I like Roku’s clunky software. While it might not be as elegant as what Apple or Amazon offer, it is deeply functional. The latest perk of the ecosystem is a new Roku channel that serves up free, ad-supported movies and TV shows that are surprisingly good. I watched Martin Scorcese’s Shutter Island on the channel recently, and all it cost me was waiting through a handful of two-minute ad breaks. 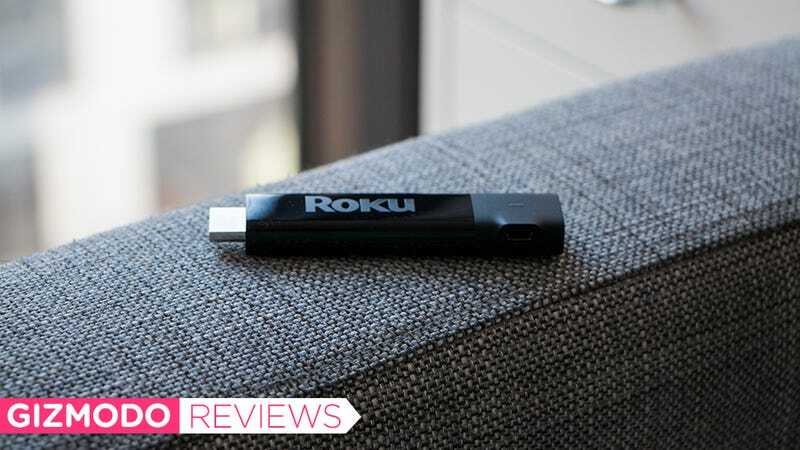 It’s hard to say if the new $70 Roku Streaming Stick+ is better than the new $70 Amazon Fire TV dongle, which also does 4K and HDR, simply because I haven’t tested out Amazon’s latest offering yet. It’s not hard to make the case that you should upgrade from your old Roku Stick to the new one, especially if you’re interested in enjoying 4K and HDR content. That’s actually a no-brainer. 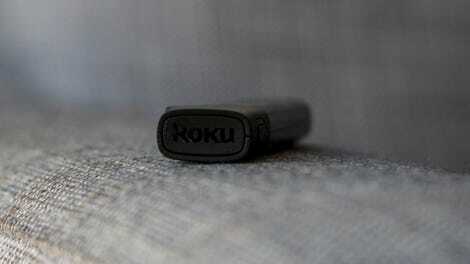 The new Roku Stick feels semi-futureproof in its ability to handle the highest quality content. Who wouldn’t want that option, especially when the hardware is so minimal and the price is relatively low. For now, color me impressed. A couple years ago, it took a black box the size of a stack of pancakes to do what the new Roku Streaming Stick+ can do now. These days, it’s something the size of a pack of gum. Moore’s Law is a cool thing, especially when it’s realized before your very eyes. And good hardware that comes cheap is cool no matter what.